Which is your favorite Elven dwelling in the Third Age? 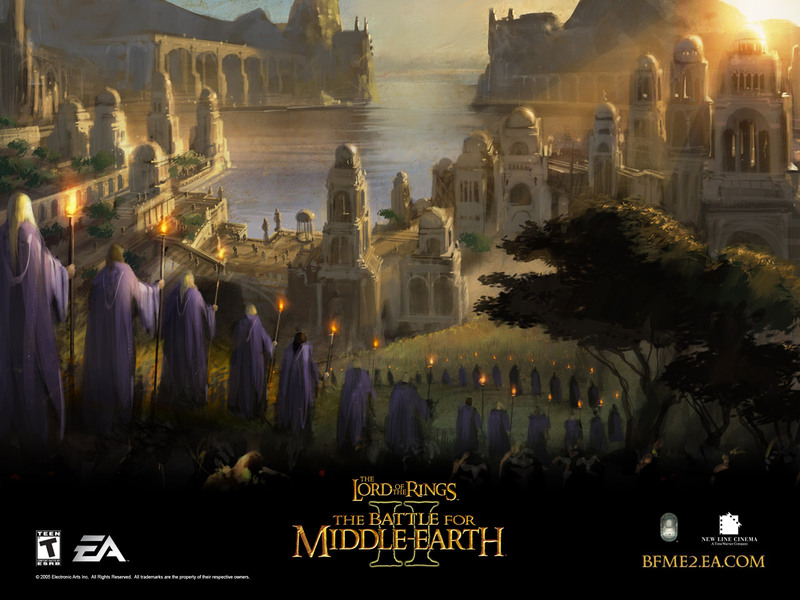 - Lindon and Rivendell are inhabited by the few remaining Noldor, the High Elves who had been to Valinor before and witnessed the Light of the Two Trees - these elves hold great wisdom. - Mirkwood is inhabited by the more numerous (in comparison to the Noldor) Silvan Elves (Elves who stopped their journey to Valinor and decided to settle in Mirkwood), who are 'less complicated and more' earthy', and also 'less wise and more dangerous'. -Lothlorien is also inhabited by Silvan Elves, with the exception of its rulers Galadriel and Celeborn, who were Noldor Elves. I'd like to know which is your favorite Elven realm of the Third Age; mine is Mirkwood . Feel free to explain why you like the realm. Re: Your favorite Elven dwelling in the Third Age? Yes, the Elves of Rivendell are probably the most friendly to visitors, though I prefer Elves like those from Mirkwood and the Orocarni, as they are more 'earthy and mysterious', and they don't all wear long robes like the Noldor . Well they probably have lots of wine, but not whisky . If you like whisky though, Mirkwood would probably have it, considering Thranduil's 'taste' for beverages . Yes, Galadriel probably is fairer than all jewels, considering Gimli, who was a proud Dwarf, said that himself when he saw her . I just can't choose one. Rivendell have it's advantages as do Orocarni... Might vs Mystery. I just can't decide, at least not for now. Well I chose Mirkwood but I really like the Orocarni too, exactly because of the mystery surrounding the Dark Elves . So the Mirkwood Elves don't take baths? So, let's say, I choose Lothlórien until the end of the War of the Ring (I don't totally want to miss the Lady cleansing Dol Guldur), to make, then, the journey with Galadriel to the Grey Havens. In the books, in ROTK, Elrond, Galadriel and other High Elves journey to the West of Middle Earth from Rivendell, meeting halfway Frodo and the other Hobbits, to reach the Grey Havens at the end, where Gandalf has been waiting for them. Tolkien writes that the passing of the Elves was something really magical and ethereal, characterised by a sort of 'Blessed Sadness' as those mighty Elves would have left the World forever. Definitely Imladris. Mithlond as a close second. The Noldor have ever been dearest to me of all the elves, and I love the idea of living my days out as a loremaster among the peace and bliss of the Valley of Rivendell. ...That song always causes me to make a face. Not what I imagine the sounds of Rivendell as. Still my favor realm of the Eldar in the 3rd age, even though I'd have to occasionally put up with that song!